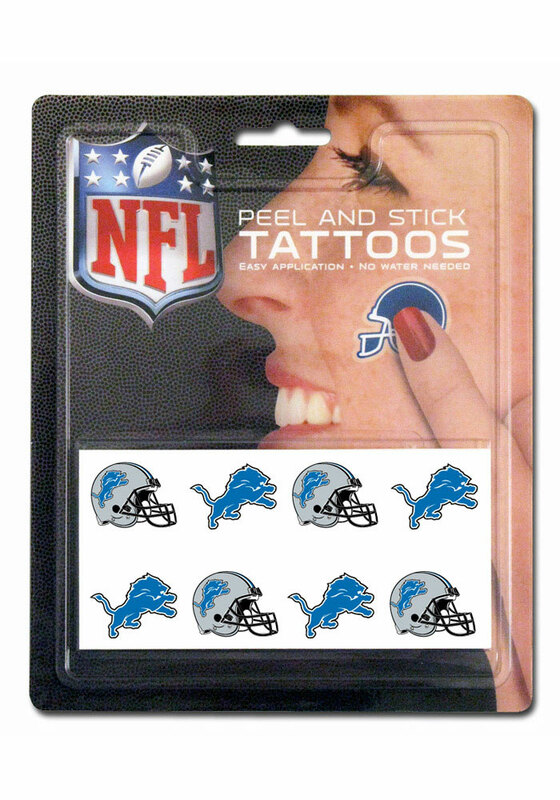 Make a bold statement for your Lions with this Detroit Lions 8 Pack Peel and Stick Tattoo. This Tattoo features a Detroit Lions primary logo and wordmark. Go Lions! !